A single act of violence left Sarah pregnant, with her cherished plans for the future in ruins. But she grabs her chance to leave her Wisconsin town behind and create a new life on the South Carolina coast, with help from an aunt and uncle she barely knows. 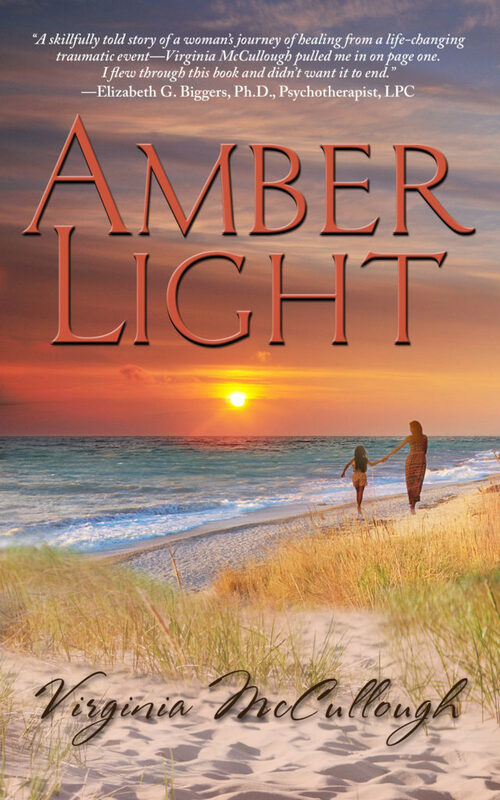 As a single mother, Sarah’s new life includes Amber, who Sarah vows will never learn the truth about her violent father. Over the next years Sarah tries to heal the psychological trauma she endured, but it’s not easy. Sarah includes her job at an island resort another lucky break, along with her unlikely friendship with Woody, who helps her break out of her shell and develop her talent as a portrait artist. But even Woody can’t help Sarah believe a relationship with a man is possible for her—ever. Then Sarah meets Barly Rhoads, a dad who fought for the right to be with his child. Barly believes in justice and righting wrongs when he sees them, including fixing his own mistakes. The past refuses to stay buried when Amber’s father threatens the safe, perfect life Sarah has created for herself and her daughter. Barly proves he will go to any length to protect Sarah and Amber, and in the process exposes some deep wounds of his own. Now Sarah must decide if she’s ready for one more lucky break. The night I met Barly Rhoads I watched him wipe pink ice cream off a little girl’s cheeks. The joy in his face and his light-hearted laughter drew me in, but also left me thoroughly confused. When he shook my hand and introduced himself I decided this was a case of mistaken identity. Barly, so warm and friendly when he nodded and said, “Nice to meet you, Sarah,” couldn’t possibly be the same guy I’d witnessed in the midst of a very public argument on the street only a couple of days before. That other guy’s anger had made me glad to be a mere observer—and a safe distance away at that. But his intensity had grabbed me, especially his struggle to make another person understand him. The argument took place on Blue Heron Drive, the only road on and off Hansen’s Island. I happened to be walking by on one of the island’s footpaths, but I couldn’t ignore the scene unfolding in front of me. A youngish guy, his hands planted firmly on his hips, took long strides up the driveway, made a crisp turn on his heel and covered the same ground on the way back. He cut a path between an older man with a suit jacket slung casually over his shoulder and half a dozen men in yellow T-shirts and dusty jeans. Some held clippers, others leaned on rakes, but all clustered close to a white van with the company name, ALL SPRUCED UP, painted in forest green on the side. I’d seen the van around, but landscaping crews were plentiful in the island communities on the South Carolina coast. I had no reason to pay special attention to one over another. Of course, I didn’t yet know the name of the man whose actions aroused my curiosity. But I couldn’t walk on without finding out what would happen next in front of one of the biggest homes on Hansen’s Island. I stepped off the path and leaned against one of the live oaks shading the street. The man I would soon meet, Barly Rhoads, suddenly stopped pacing. As he turned to face the man in the suit, he stretched out his arms, palms turned up. The noise of cars passing on the street and the gusty breeze rustling the tree tops muffled his voice, making it nearly impossible to hear more than random words. But based on the forward lean of his body and his long reach, I decided this was no ordinary dispute. Whatever it was, Barly cared enough to plead with the other man, who, for his part, remained unmoved. Barly finally lowered his arms and stood motionless. For a few seconds the breeze quieted around me. I took in a quick breath and waited. The older man shook his head. I couldn’t make out everything he said, but I caught the words “off my property.” I assumed that would end the argument. Barly spun around and motioned for the men to follow him. The crew quickly loaded the mowers and tools into the van while Barly made his way around to the driver’s side of the pickup. Out of sight of the others, he gripped the half-open window of the truck. He lowered his head, as if staring at a spot on the ground. From where I stood I could see the slow rise and fall of his back as he took long, deep breaths. I knew what his deep breathing was all about. That’s how I calmed down, too, especially when I had more to say but the other person no longer cared to listen. Barly looked to be in his thirties, a little older than me. He stood taller than most of his crew, and his sandy blond hair stuck out in all directions. Even from across the street, the unruly wildness of it made me smile. One of the men, who, judging by his stooped shoulders and almost-white hair, probably had many years on Barly and the others, got into the van and started the engine. Without looking around or talking to anyone, Barly climbed into the pickup, and the crew piled into the back. With the truck leading and the van following close behind, Barly and his crew headed toward the bridge off the island. I walked on to my appointment, but curiosity about what I’d seen lingered. Later, the image of him and the words he spoke came back to me before I fell asleep that night, then surfaced again as I took my first sips of coffee the next morning. I knew a thing or two about fair and unfair. Early in my life, I’d learned that being right about something didn’t necessarily mean much. I caught myself replaying the scene from the previous day over and over in my mind, always coming back to wondering what Barly had cared about with such passion that he dropped all pretense of pride and took on a losing battle in front of his crew. He hadn’t even claimed the satisfaction of having the last word, maybe calling the man a name or yelling an angry remark over his shoulder as he walked away. But it nagged at me, too, why the threat of getting the police involved had brought about such a quick—and quiet—surrender. Eventually I learned the answer to my questions and to so many more, when two days later I met the other Barly, the warm dad delighted with his daughter. I had no way to predict that what followed his introduction would soon change almost everything in my life. Nor could I have known how quickly my past would catch up with me. Convinced I was right and determined to ignore him, I turned and walked away, but he side-stepped in front of me, blocking my way. I looked away from him and stared off into the distance, considering Barly’s question. My answer would come down to a matter of willingness. Was I willing to step out from behind the safety of my pretend life and risk walking into a real one? A skillfully told story of a woman's journey of healing from a life changing traumatic event—Virginia McCullough pulled me in on page one. I flew through this book and didn't want it to end. An engrossing and deeply moving novel that kept me up late, unable to put the book down until I read to the end…loved everything about it…some surprising developments and some hard topics were tackled…A powerful story about healing and love. Great story dealing with a subject that most won't talk about. You watch the main character grow, mature and come to terms with what happened to her as a teen.